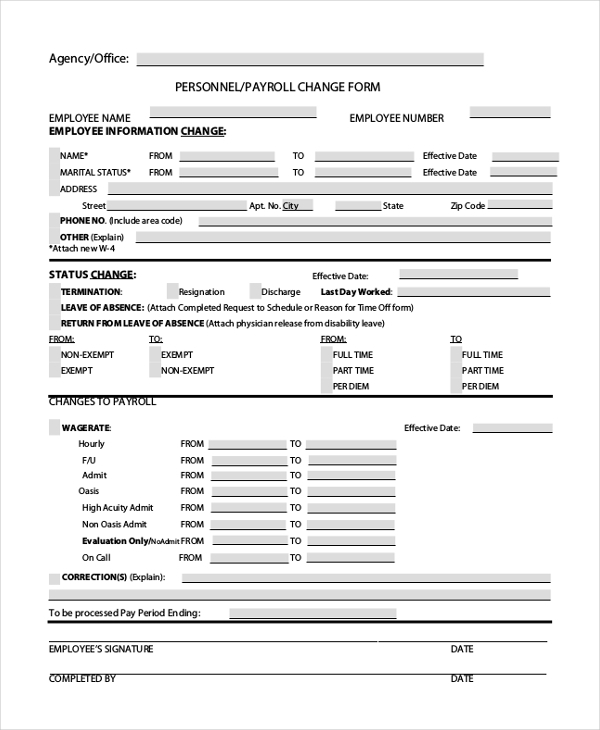 This form is to be filled by the employee when there is any change in the payroll. 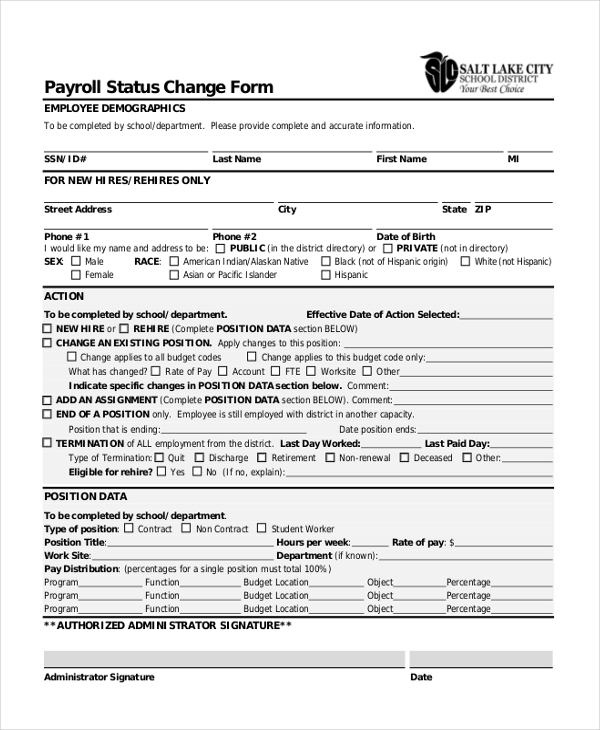 These forms are useful for the employees to notify the change of the payroll to claim the additional benefits. This form is to be filled out by the organization if there is a revision in the pay of an employee. These forms are used by the organization to record the change in pay for the employees and to notify the employees. This form is used to correct earnings or pay codes for hourly employees for a pay period. These forms are useful for organizations where the temporary staff is employed on an hourly basis and to pay them accordingly. This form is to be filled by the human resource management for an action taken such as merit increase, change of status etc. These forms are used by the internal management to record the payroll, change of marital status etc. This form is to be filled by the organization if there is any change in the status of the employee. These forms are useful to notify and record the changes in the marital status, or a child birth etc. 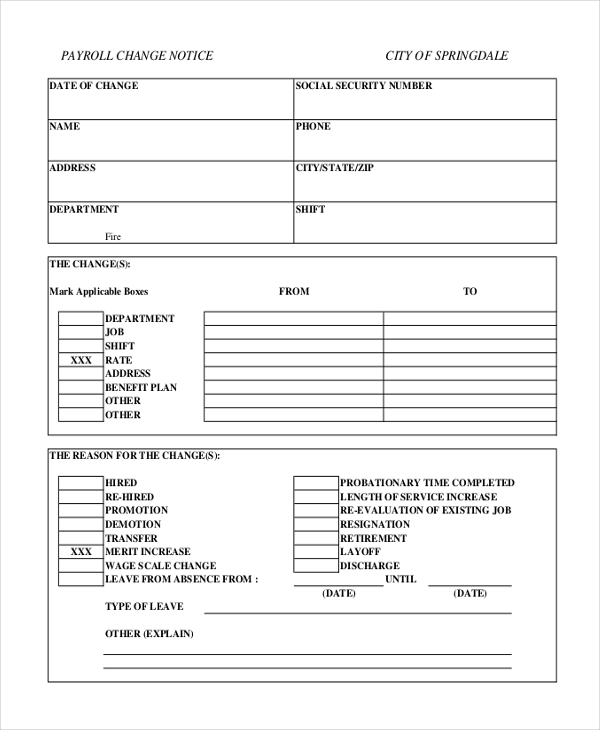 This form is to be used when there is a change in the name, any change in the address or change in bank account etc. 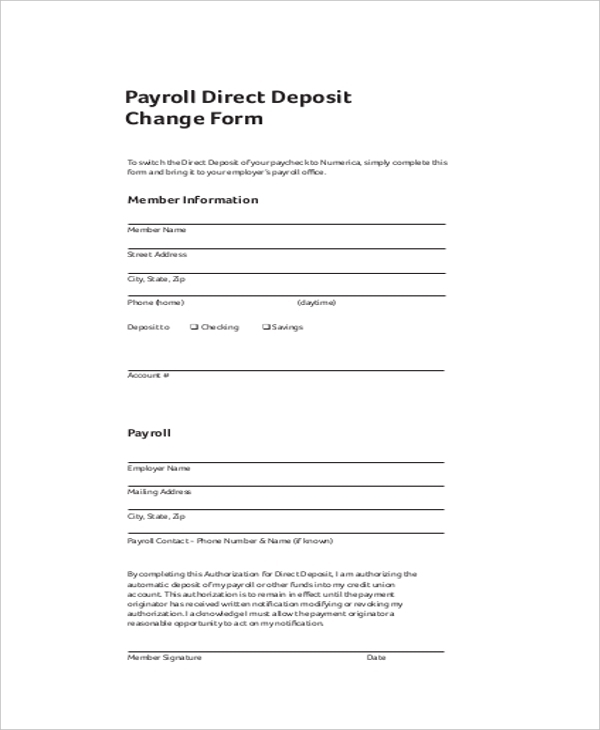 These forms are useful to the employee if the employee wants to change the deposit bank account, change in the residential address, phone number etc. These kinds of forms are useful when there is any change in the address or name of the employee. These forms are useful to notify or record the personal details of the employee such as name change, address change, payroll change etc. 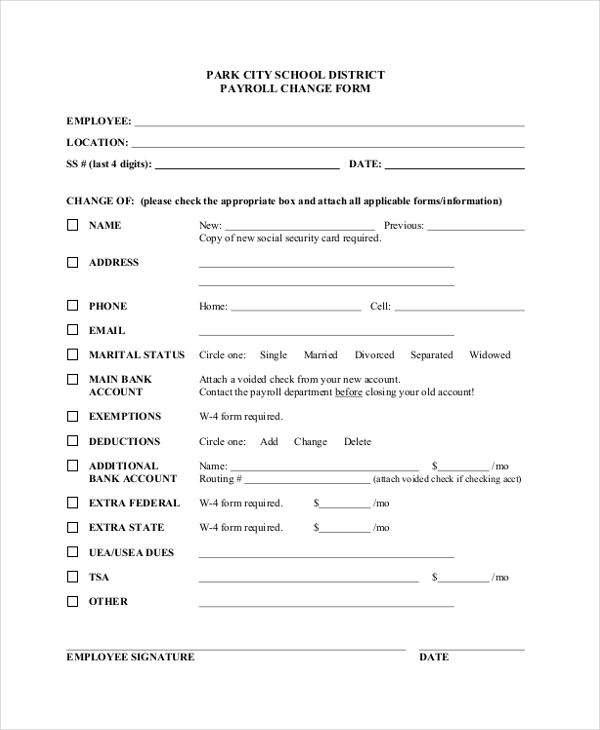 This form is to be filled out when there are changes in the employee’s name, address, marital status, phone number etc. 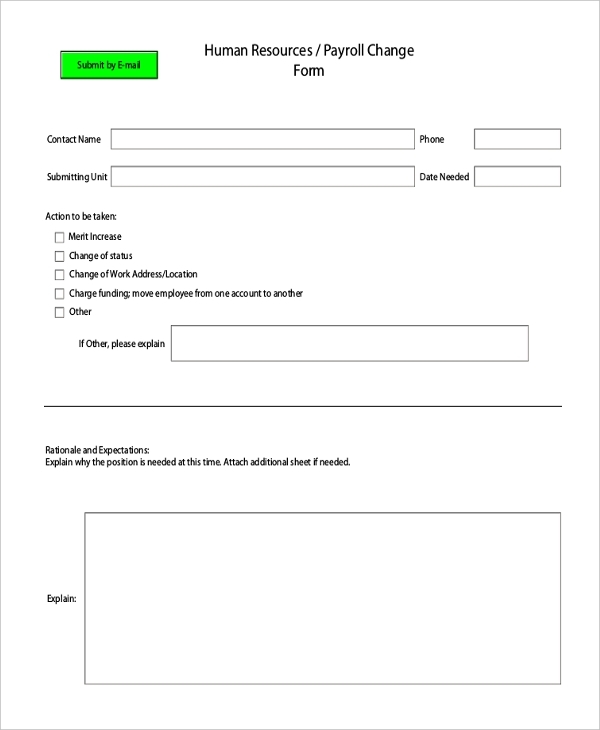 These forms are useful to record or notify the personal changes in the staff’s information. 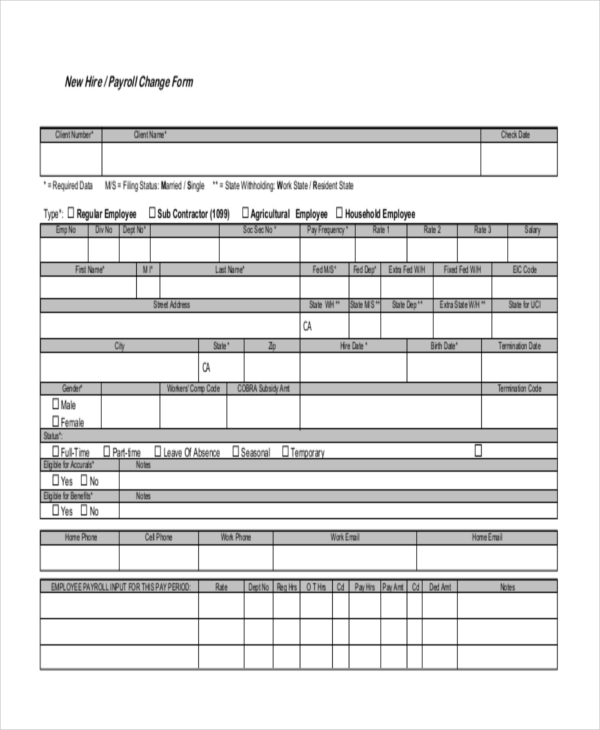 This form is related to the personnel department of an organization and has to be filled out if there are any changes in the wages, name, address etc. These forms are useful for the personnel department in the organization to record the changes related to the employee in an organization. 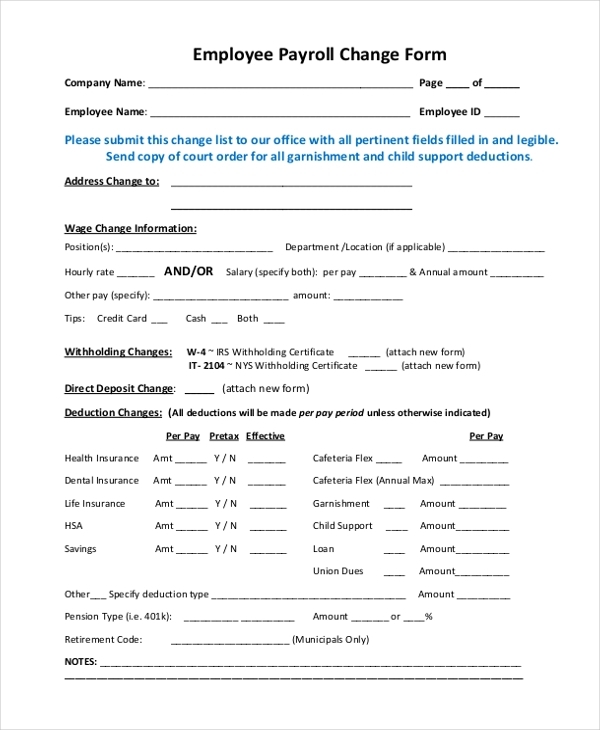 This form is to be used by the in charge of a particular section when there is any change of the payroll for a particular employee and the reasons for the change. These forms are used by the organizations to record the details of the employee such as name change, address change, change in payment structure such as increment or decrement of salary, addition of family members etc. 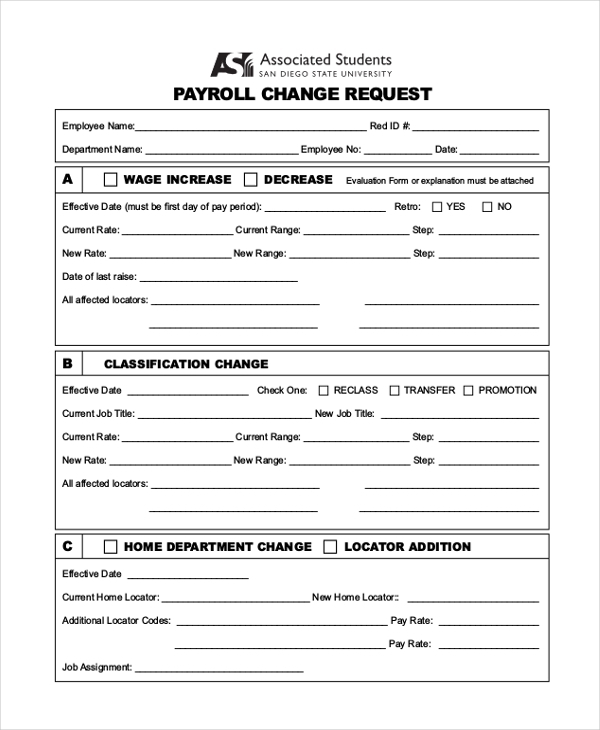 The payroll change forms are a necessity for any organization, schools, colleges etc. as they help in recording the employee details.